The Reserve Bank has announced that the first of Australia’s next generation of banknotes, the new $5, will be issued from 1 September 2016. Security features will be upgraded to ensure Australia’s banknotes remain secure into the future and designs will change accordingly to accommodate the new security features. A new tactile feature will also be added to assist the vision-impaired community. ‘The new banknotes will have a range of security features that have not previously been used on an Australian banknote. 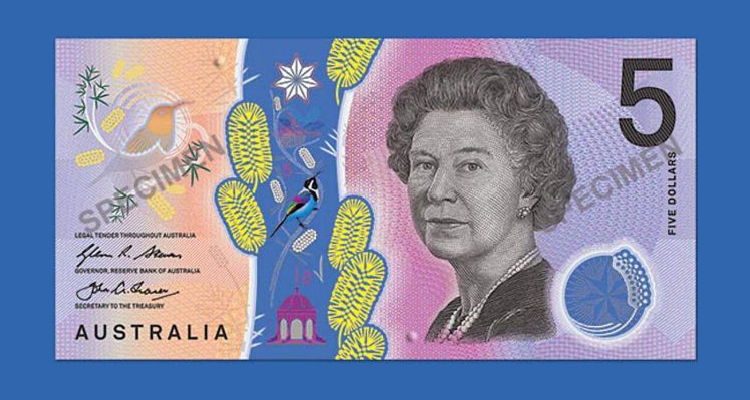 One feature of the new designs is the depiction of a different species of Australian wattle on each denomination. National Wattle Day, 1 September, has therefore been chosen to issue the new $5 banknote. A number of steps have been taken by the Reserve Bank over the past six years to identify and engage with the banknote machine industry including a formal machine readiness program.